Casa Jardin is located within an expansive privacy garden on the outer perimeter of Nosara Paradise Rentals campus. Its open floorplan features a sun-drenched sitting area, a cozy breakfast nook, and a bar area for late-night entertaining. Purchased in early 2011, Casa Jardin received new paint, appliances, and furnishing before its Grand Re-Opening in August 2011. 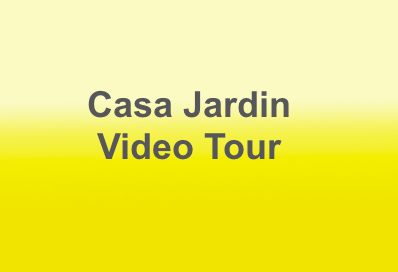 Casa Jardin comes complete with all the necessary items to fully enjoy your stay: all kitchen appliances, utensils, microwave, blender, high quality towels and linens, WiFi, ice cold A/C, USA-style outlets nighttime security and much more. 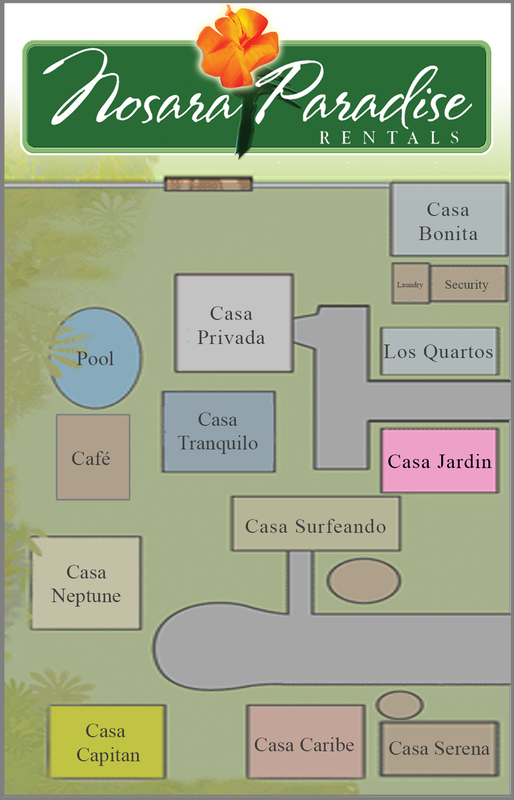 Casa Jardin is perfect for a small family or group of friends wanting to enjoy all that Costa Rica has to offer.